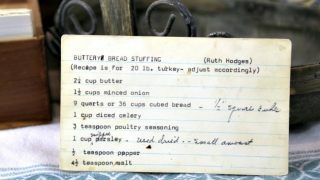 Front of the Buttery Bread Stuffing recipe card. 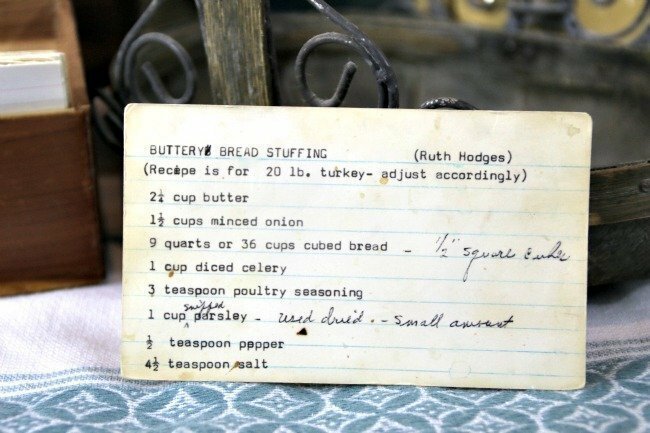 The recipe card owner notates that Ruth Hodges gave her this recipe. The top of the recipe states “recipe is for 20 pound turkey – adjust accordingly.) Also, the recipe calls for fresh parsley but she indicated that she used a small amount of dried parsley. 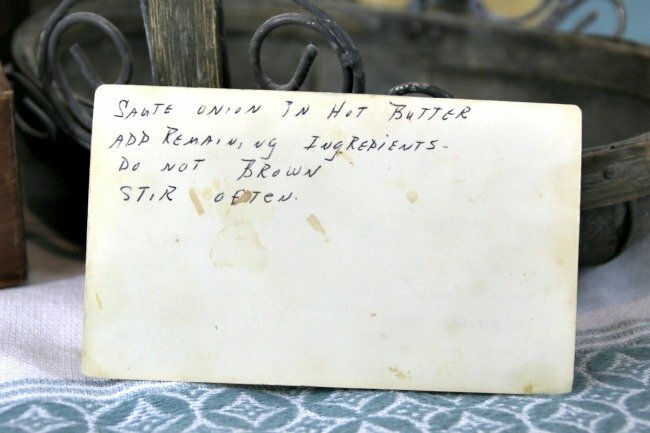 Back of the Buttery Bread Stuffing recipe card. We have lots of recipes on the site that may be of interest to you. Use the links below to view other recipes similar to this Buttery Bread Stuffing recipe. If you make this Buttery Bread Stuffing recipe, please share your photos and comments below!